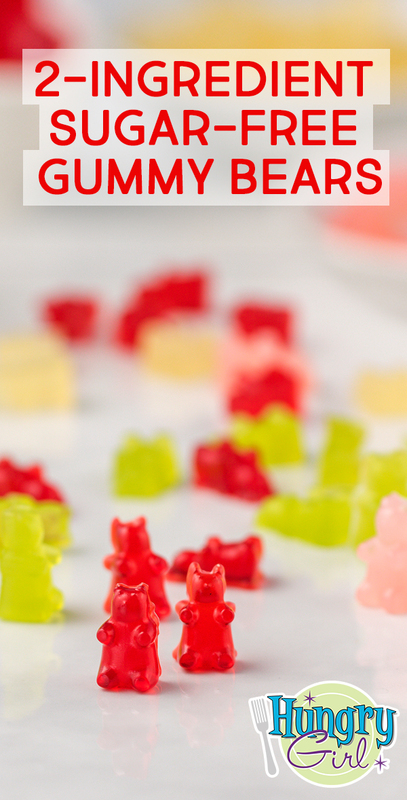 Place a 50-bear gummy bear mold on a large plate or baking sheet. In a small pot, combine gelatin with 2/3 cup water. Stir to dissolve. Set heat to medium. Stirring constantly, bring to a low boil. Remove from heat. Add drink mix, and stir until completely dissolved. 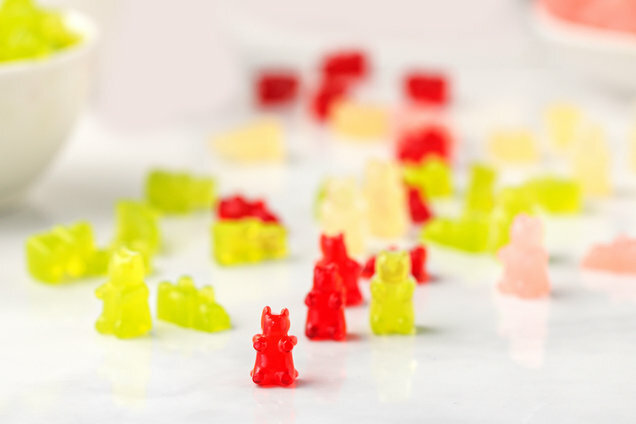 Using a dropper (included with most gummy bear molds), evenly distribute mixture into the gummy bear mold. Refrigerate until firm, at least 20 minutes. For best results, store in the refrigerator in a sealable bag or container. HG FYI: No need to stop at 10 gummy bears! Enjoy 25 gummies for just about 38 calories (Freestyle™ SmartPoints® value 1*). HG Heads Up: Depending on your boil time, you may end up with more liquid, which means more gummy bears. Nothing wrong with that! You can’t make gummy bears without a gummy bear mold, and this is the exact 3-pack we use here at Hungryland. Each tray makes 50 gummy bears, so you can triple today’s recipe and make three flavors at once! It also includes a handy dropper, so you can easily fill each bear-shaped hole. The fact that the molds come in beautiful bold colors is just an added bonus! We hope you love today’s Amazon finds as much as we do! Just so you know, we may receive compensation from some of these links. Prices and availability are accurate at time of publication and are subject to change. It’s the final day of our Happy Chew Year Challenge! Share an encouraging quote over on Facebook, and let’s keep the positivity going! Make someone’s day… Click "Send to a Friend" to share today’s recipe and finds!